1. In a small bowl, combine pineapple, peaches, jalapeño pepper, onion and cilantro. Squeeze a small amount of fresh lime juice over fruit salsa and mix well. Set aside for 10-15 minutes. 2. Grill or pan fry beef franks until internal temperature reaches 165°F. 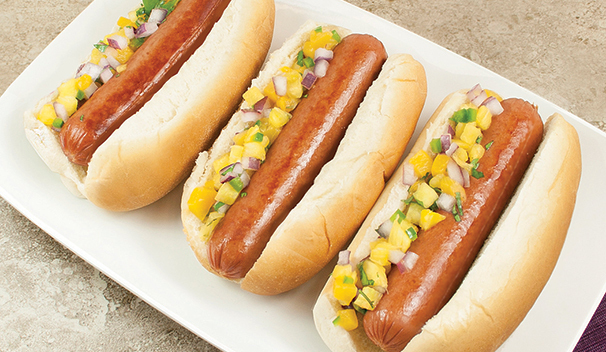 Place franks into bun and top generously with pineapple-peach fruit salsa. Serve immediately.